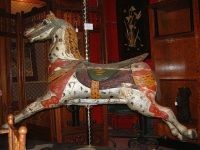 Find the most valuable antiques in PA. Before you go shopping, see our guide to antique dealers in PA.
One of the Largest PA Antique Galleries! Located in the "Antiques Capital of America" this gallery boasts over 250 showcases filled with quality antiques. International and local dealers display their wares in this 20,000 square foot gallery - you are sure to find a large amount of diversity here. Specializing in areas including coins, dolls, rookwood, sports cards and memorabilia, advertizing, toys and more, this Pennsylvania antiques shop is a fascinating look into the past. Whether you are a collector looking seriously, or just someone browsing for a conversation piece you're sure to find something here. Open 7 days a week from 9:00am - 4:00pm. 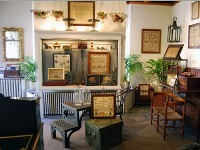 Find the Delights of Yesteryear at this Charming Antique Gallery! With over 6,000 square feet of antiques on display, this showroom is packed with history. Find a unique piece of furniture to bring your living room together, an antique lamp to light your bedroom, or an old fashioned jukebox as a conversation piece. Browsers and collectors alike will delight in the variety offered in every room of The Carriage Barn. 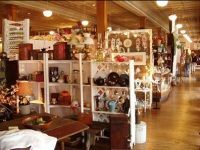 Specializing in 19th century Americana, this antique shop located in western PA is a great place to find pieces for your collection or home. Mulberry Antiques' 35 years antiquing experience means that they are sure to offer great pieces, interesting information and expert guidance on their pieces. Stop by and look at their extensive collection of baskets, stoneware, textiles and folk art. 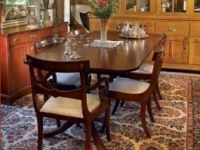 Promising to offer the best pieces at affordable prices this shop is a great place to find American antiques in Pennsylvania! Preview some of Mulberry's collection on their website before visiting! The First Outdoor Antique Market in Adamstown! Looking for some great PA antiques and collectibles? Look no further than Shupp's Grove Antique Market! This outdoor market is open Saturday and Sunday from April to October and has been operating since 1962. If you're looking for something special, view their calender to see the theme of the week. 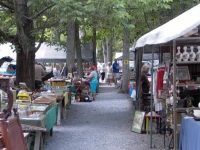 Located in the "woods" of Adamstown, the "Antiques Capital of America," this market has a unique feel, and is a lot of fun to browse. A wonderful place to get quality goods from small businesses and individual dealers. Variety of Antiques in PA from Every Era! Boasting 120 showcases and 70 booths, Burning Bridge Antiques Market is sure to have something for you! Located in a building that is an antique itself, this 24,000 square foot market offers collectibles from a variety of vendors. Jewelry, vintage signs, gorgeous ironwork, antique toys, furniture, coins, stained glass sports memorabilia and much more from every era can be found here. Open 7 days a week for your browsing and collecting convenience. The knowledgeable and friendly staff are sure to be able to help you find whatever you might be looking for, whether it is a specific piece or a general idea. Specializing in Samplers and Antique Needlework! 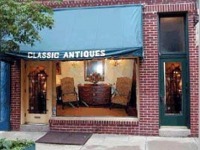 Since 1947 this quality family-owned store has been offering the best of period antiques. Located on Pine Street, Philadelphia's historic antiques district, the two storey shop is packed with furniture, silk embroideries, antique samplers and many other remnants of the past. The Finkle family are experts on antiques and have worked with everyone from private collectors to museums; they are members of The Antiques Dealers' Associate of America Inc.
French and English Furniture from the 17 and 1800s! Located in Philadelphia's antiques district, this antique shop has been offering antique furniture to shoppers for over 20 years. If you are looking for 18th and 19th century French and English pieces, this is the place for you. A direct importer, owner/operator Carmen D'Amore personally chooses each piece he offers in his shop. In addition to the wide range of antiques offered by Classic Antiques, this store has a line of Art Deco inspired furniture that has been custom made. 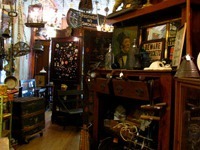 This Philadelphia antique store is open Tuesday through Saturday from 11am to 5:30pm. Antique Store in Philadelphia Located Near South Street. Anastacia's Antiques is a fascinating emporium of odd curiosities, collectables, Victorian furniture, jewelry and other oddments. You will find that you can spend hours browsing among the 2400 square feet of this cozy shop with its stacks of merchandise. Around every corner is a new collection of objects to be wondered at. The ever-changing stock at this Philadelphia antique store's location means visiting is a different experience each time. Anastacia's Antiques is open Thursday through Sunday. Coins, Stamps and Ephemera in Philadelphia! E.G. 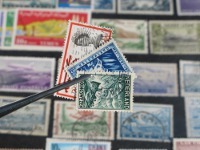 Marshall & Associates is an antique store that specializes in stamps, rare coins, art prints, lithographs, engravings and more. Whether you are looking to add to your personal collection or sell them rare coins or stamps - you'll find this to be one of the top antique stores Philadelphia can offer when it comes to collectibles of this sort. With over 20 years in the collecting and antiquing business, E.G. Marshall has a true passion for collecting. The knowledgeable staff at this antique stores in Philadelphia will be happy to assist you with whatever you are searching for. Tribal Carpets, Tapestries, Weavings and More! 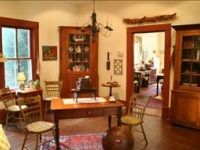 This fine antique store focuses on selling antique textiles, rugs and textile art. Their extensive inventory is sure to please any collector who visits. 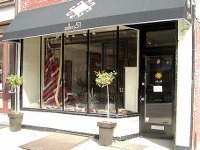 Whether you are a collector, a commercial customer or just looking for a unique gift for someone, you will find Gallery 51's staff to be friendly and helpful. Items from around the world spanning the last two millenia of human history can be found at this incomparable Philadelphia antique store. Contemporary art pieces can also be found here in the form of tapestries, paintings, photographs and more.